I recently obtained a Visionary Midnight Scorcher Particle Urethane ball! I have done some research since I got the ball and learned some interesting things about its construction and performance. The Midnight Scorcher is a super strong Particle Urethane ball made by Visionary Bowling. The specs of the DC core are: a high RG of 2.63 but also a very high Differential of .063. The ball is actually a weak asymmetric with an intermediate differential of .006. I laid this ball out as a symmetric, which is ok to do because of the weak asymmetry. The ball is drilled with a strong Full Roller layout with pin at 3 3/8”. These core specs, combined with the super strong cover, make the ball very smooth and controllable with a very heavy roll. According to Visionary Bowling the particles in the ball are a very tough, but soft Polybutadiene compound, somewhat similar to the rubber used in tires. The particles have the ability to absorb small amounts of oil and expand slightly to create even more traction in the oil, and that is why the ball feels like it has beard stubble once it gets some oil on it. The Particles act like tire treads and allow the Scorcher to hook in even the heaviest oils. The stock grit is 320 wet sand, but this was way, way, way too strong for me on a house shot regardless of the density of the oil volume. After experimentation, I settled on 1500 grit. This suits my slower ball speed and full roll. Remember, when changing the surface of this ball, only use Scotch-Brite pads or you will sand down the particles and lose the reaction. In the test video below, I am bowing on the Big Ben pattern and the lane surface is the very slick Brunswick Anvilane. This particular lane is very, very smooth as it never gets league play and has not been tracked in. Compared to the same pattern on the league lanes, this lane has 6 boards less hook for me with this ball, so I had to stand more right and go down and in. Please feel free to comment if you have more technical information on this unique ball which seems especially made for my vintage style of play. I have attached a photo which allows you to see the particles which shine like stars in the Midnight sky. High Game: 259 bowled with The Hardwick Rubber Ball at Poway Bowl. High Series: 630 bowled with Black Widow Urethane. From what I found out about this ball is it needs oil, but it would be interesting to see what happens at a dry lane. Nord, I like the markings on your ball. As, it allows me to follow the ball rotation down the lane. Yes, it does hit heavy, as you said. The ball rotation turns forward as it hits the breakpoint. I am a proponent of particle covers, and have 3 in my bag today. Hard to find current balls with that technology. As, porous covers seem to be the flavor of the day. Like you, since my knee operations, ball speed has been my problem. What used to be 17.5 mph now is more in the 12.5-13 range. I recently got my first all urethane ball. Was prompted to do so by reading your other topic. Thank you for that. The outside, straight-up line is so new and different to me. Yes, I always use white inserts on my balls so I can visually see my rotation to help me know when I am releasing the ball correctly or incorrectly. I am really liking my first particle ball. I love it because it has the control and motion of a urethane ball without the progressive reduction in hitting power that happens to all urethane balls as they get more and more oil on them. The Scorcher has the control of urethane and the hitting power of reactive. Which urethane ball did you get? haha, to be honest, I don't know. Have to go in trunk and look. 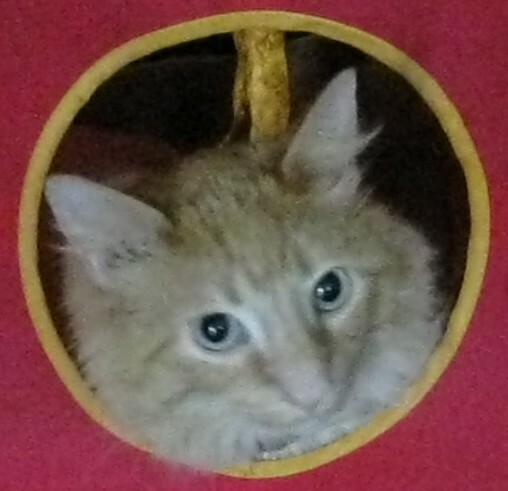 In a box. Only used a few times. Pro Shop found it on back room shelf. Had been drilled in error few years ago, but never used. I talked with Pro Shop guy about the conversation on here. He plugged it and drilled for me. No charge. Could be the Blue Hammer. I was going to say the same thing until I saw you already said it. When I got my Super Natural I was also thinking of getting the blue hammer. I am curious about how the Blue Hammer works on modern house shots. The out of box grit is 4000! That is a very high grit for a urethane ball. The Diff is medium: .032. What was Hammer up to when they made this ball? It is a Blue Hammer. Strange, but the RG and Diff are identical to my LM Terminator, (2.58, .032). I'm having trouble playing an outside shot, straight up. I'm just not familiar with it. I tend to push it too far down lane. If I don't, it crowds the head pin. Somewhere, there is a shot. I just cant find it. Straight up 6-8 is the best target area. And, that's almost always dry. But, works better with my slower speed. I certainly couldn't do that line with any of my other balls. Except my plastic spare ball. As perhaps many of you may be aware, Visionary Bowling closed their doors. They are out of business. No more Visionary balls!!! Because of this loss to the bowling industry, I felt it was very important to contact Jason Wonders of Visionary bowling and try to get an interview with him. Because of the unique design and capabilities of the Midnight Scorcher, for me it was vital to get a record of the design and intent that went into it. Please enjoy this rare and informative look into one of the most iconic balls ever created, the "Midnight Scorcher." Q: What year was the Scorcher first released? Q: How did the idea of creating a particle urethane ball come about, what was the design intent? A: One of the main issues with tournament bowlers at the time, was heavy oil patterns at the beginning of the tournament. Many bowlers would flop on their first two games simply because they were getting an erratic reaction, or not getting any reaction at all on the heavier oil patterns. Our goal was to create a ball that would not only handle the heaviest of oil patterns but also give them control and enough drive to carry the corners. So we took the power of the DC Core design, and combined it with the control of urethane and the traction of a particle ball. Q: What type of urethane base formulation did you use in the creation of the Scorcher, it seems very hard, durable and strong? A: It is definitely a very durable coverstock, but I would not say that it's hard. The shore D hardness was in the typical range for a urethane bowling ball. It is however, very impact and scratch resistant, and creates a decent size footprint on the lane. This in turn helps create more traction. The base urethane material is simply a blend of the strongest urethane's that we used in the 80s and very early 90s. Q: Can you tell me about the type of particles used in the Scorcher and how they work? A: The particles are a soft polybutadiene material that flexes and creates a tread similar to that of a tire. It works by allowing the particle to touch the lane surface instead of completely hydroplaning over the oil. Q: What is the best way to maintain the coverstock of the Scorcher and when changing grits, what is the recommend way to do this to prevent damage to the particles? A: The easiest way to maintain the cover is simply to use a 320 grit wet dry sandpaper, and wet sand it on a spinner. The particles are evenly distributed throughout the entire cover, so as you sand it down, more particles break through to the surface. Because the cover is so scratch resistant, you may need to start with a slightly lower grit sandpaper and work your way up to 320. You do not have to worry about the particles being damaged on the scorcher, because they flex. Eventually they will wear down slightly and you will need to resurface the ball, but you should have to do it less frequently than most particle balls. You will need to clean the ball fairly often because this type of urethane will keep the oil at the surface of the ball instead of absorbing it like a reactive. All you need to do is use any kind of ball cleaning product, or even a wet rag with dishwashing detergent. Detergents are designed to break down oils, so if you simply lather the ball with a dishwashing detergent, and then rinse it off, it should remove the majority of the oil from the surface of the ball. Q: Am I correct in understanding that the original Stock Grit of the Scorcher was 320 wet sand? This seems pretty darn strong for a normal house shot. What types of oil patterns did you expect the Scorcher to be used on? A: Yes, it came factory finished at 320 sand. As previously mentioned, the intent for this ball was simply to give bowlers an opportunity to score well in the first few games of a tournament, especially on heavy, long oil patterns. 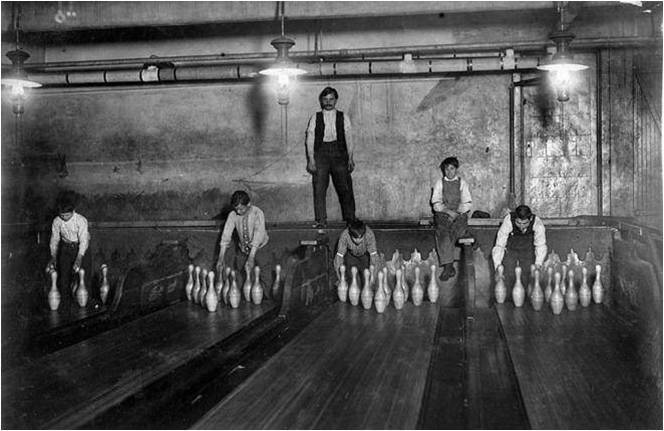 For many bowlers the first couple games of a block were the only thing keeping them from cashing consistently. The difference between shooting 160 and 210 at the beginning of a tournament can be the difference between winning and not even cashing. Q: If I understand correctly, the Scorcher has a weak asymmetric core that has a very, very high RG of 2.67 and a very, very high Diff of .069 with an intermediate Diff of .006. How was this core chosen for the Scorcher and why did this seem like the ideal core for this ball? A: First I would say weak is a misused term at times. I like to use the term mild asymmetric because the term weak implies that the core is not very strong which would be an incorrect statement. The reason for using a core with such a high RG is simply to allow the ball to get down the lane a little further. With such a strong cover, an earlier rolling core would have made the ball start too soon on the lane and hit weak or not carry well. We tested a few different core designs, but the DC core gave us exactly what we were looking for. A ball that handled the oil very well, gave us a nice controlled reaction, yet still hit hard enough to carry almost as well as a reactive. Q: Is the Scorcher a two-piece ball or a three-piece? A: In my opinion this is very outdated terminology. A three-piece simply refers to a pancake weight block, while a two piece refers to any dynamic core. This is because in the early stages of core development, most dynamic cores were simply one density. So you had either a single density core and cover (2 pieces) or a pancake weight block that has two densities and a cover (3 piece). Most people would refer to the scorcher as a quad density core two piece bowling ball. In reality it is a five piece ball because the core is four different density pieces. Q: I see a very unique ball shape from the Scorcher compared to other urethane balls. The Scorcher seems to go very straight and starts hooking in the mid-lane and then transitions into a very heavy roll that arcs very moderately to the pins. But even though it doesn't look like the Scorcher has moved much, or covered many boards, when it hits the pins it's like an A-bomb went off! Even light hits are blasting the pins apart or shooting them all over the place. Even a low rev/low ball speed player like myself is seeing this effect. What do you attribute this heavy hitting power too? A: This is a topic of debate for a lot of people as well. The term hook varies depending upon who you talk to. In my opinion the scorcher hooks a lot. It may not appear to because it is not very angular, but the total deviation from its initial trajectory is significant. If you are on a truly long, heavily oiled lane pattern, and you try to throw most reactives on the same line, you'll see that the scorcher "out hooks" most reactives. The hitting power comes from a combination of both the core and the cover. The core helps the ball get into a nice continuous roll while the thick cover helps create maximum impact with the pins. 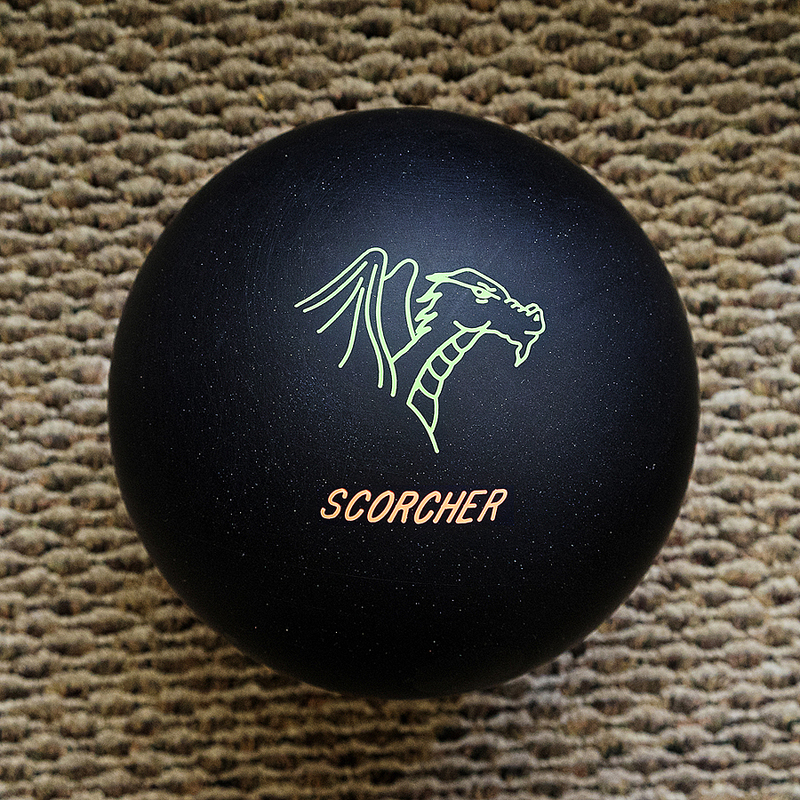 Q: I also see another unique property of the Scorcher compared to other urethane balls, its seems immune to carry down. I can use the Scorcher on the same line for a long time and never see it quit in the back. People can be throwing plastic up the middle and urethane on the sides and still the Scorcher keeps hooking just like it did on the fresh. If anything, as the set goes on, I am forced left with the Scorcher, like you might see with a resin ball that eats the oil off the lane. How is the Scorcher able to do this? A: The particles play an important role in making sure that the ball is not affected too much by carry down. Again I will liken it back to the tread on the tire. If a tire has good tread, it is not affected too much by oil or water. However if you put racing slicks on in place of a tire with good tread, it will be great on dry pavement but as soon as it hits any oil or water it will just spin and lose traction. Q: Where did you get the idea for the name of the ball and the Dragon logo? A: At that time our company was basing our logos on medieval characters, and a dragon just seemed like a proper fit for a ball that would just chew through the oil. Q: Can you remember any other cool facts about the Scorcher or any stories from people who have used it? A: I have had countless people tell me their stories about how their Scorcher would hook when no other ball could. Many bowlers with average, to below average revs, won tournaments, or made the TV finals because they shot 220- 250 when everyone else was struggling to shoot 180 because there was too much oil on the lanes. My favorite story came from a High-ranking amateur player, who shot 849 for his first three games of a tournament, and was 190 pins ahead of everybody else in the field. He ended up being high qualifier for the stepladder finals by 65 pins. The reason that his story will always stand out in my mind is not only because he bowled great, but because that is exactly what the ball was designed to do. It gave him a tremendous advantage during the first few games of the tournament, when nobody else could get their ball to hook. When you hear stories like that it validates all the hard work you put into designing and developing a ball. Generated in 0.021 seconds in which 0.003 seconds were spent on a total of 16 queries. Zlib compression enabled.